Working out just became more fun! Pretty Girls Sweat, founded by Aeshia Devore Branch, is a fitness community that empowers women to live a healthy lifestyle. They are having their annual Pretty Girls Sweat fest Atlanta and Indique will be there!! PRETTY GIRLS SWEAT fest ATLANTA, hosted by Rashan Ali (co-host of TV One’s Sister Circle), is an annual fitness festival, SWEATlebrity Awards Show, and fundraising effort. Confirmed honorees this year include Laila Ali, Jeanette Jenkins, Lita Lewis, Ellen Ector, Lana Ector, Riley Burruss and actress Elise Neal. The one-day event is filled with music, self-care, sisterhood, style, fitness, food, and fun benefiting select non-profit organizations. Last year, 500+ women gathered to "make fitness fun" and "sweat with a purpose;" this year's gathering on September 15 in Atlanta, GA is expected to draw 700+ women. Beneficiaries this year include: Sporty Girls Inc, Girls On The Run, Dance 411 and TeenDiariesFoundation.org. For more details, or to purchase tickets, click here. We are too excited for PRETTY GIRLS SWEAT fest ATLANTA on September 15th and can not wait!! So many amazing, positive, and beautiful ladies will be making fitness fun and raising awareness for childhood obesity. 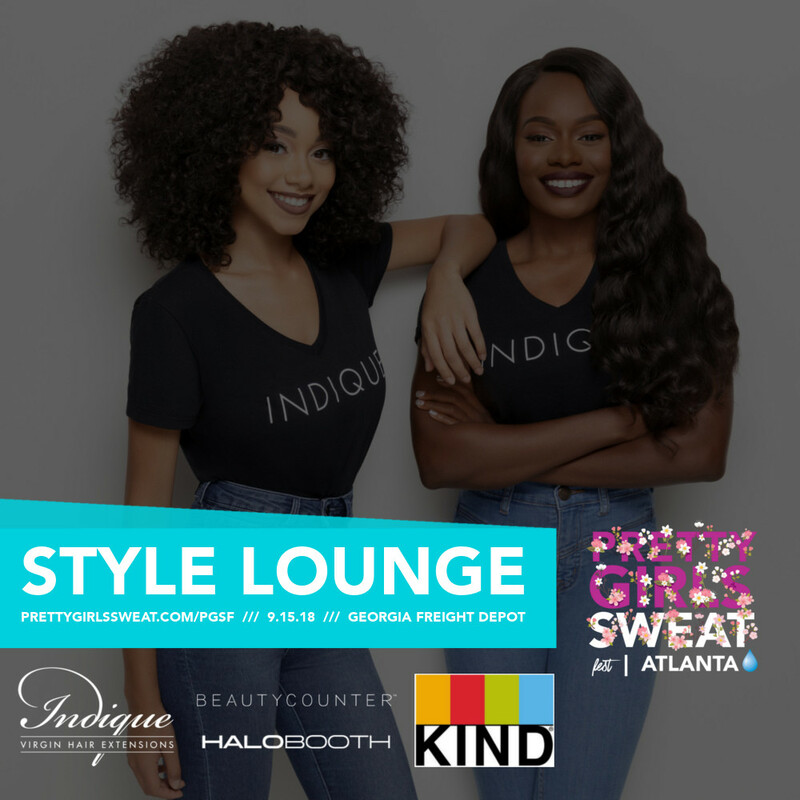 We will be joining the #SweatSisterhood as a Beauty Lounge sponsor creating Sweat Approved hairstyles by our Indique Pro Stylist, Cheyenne Simmons! Don't miss it!!! It's the Ultimate Sweat Sisterhood Festival!!! Get your tickets today at prettygirlssweat.com/pgsf and Follow @prettygirlssweat for event updates!